Wayne Besen wrote recently about why people of conscience should leave the Roman Catholic Church. For a variety of reasons, multitudes of U.S. Roman Catholics have already left; the church’s official membership numbers would be plummeting were it not for Catholic immigrants, and formalities required to defect, resign or excommunicate oneself. 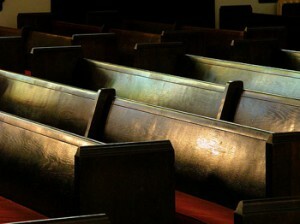 Nevertheless, 75 percent of people who are claimed by the church to be Roman Catholic don’t attend regularly, if at all. Ten percent of all Americans are ex-Catholic, according to the Pew Research Center. Shall I switch to a Protestant denomination, a non-Roman but Catholic one, or choose something else? How shall I stay in touch with friends from my old church? How will I meet people in the new church? How can I learn about the new church’s rituals and expectations? We welcome additional suggestions for support. Disclosure: The author is a lapsed Catholic who has not sought formal excommunication.